United Way works with 40+ local and regional nonprofit agencies to tackle each of our nine Steps to Success. Get to know these agencies and learn about their partnership with United Way. We invited Sara Dimick, Executive Director at OAR of Richmond, to tell us about her work. I am currently the Executive Director at OAR of Richmond. I have been with the organization for almost seven years, starting out as the Community Engagement Coordinator. I was selected by the Board as the Executive Director in 2015. As the Executive Director, I lead the agency in providing reentry services to those in need. I am responsible for grant writing and fundraising as well as working with the Board to carry out our strategic plan. I graduated from Virginia Commonwealth University with my Bachelor’s Degree and then went to Campbell University for a Master of Divinity. I have been working in nonprofits for over 10 years in direct service positions as well as management positions. I’m a proud member of the 2015 class of the Emerging Nonprofit Leaders Program which is offered through The Community Foundation. My passion lies in giving folks second chances and I get to do this everyday at OAR. What is OAR of Richmond’s START! Reentry program? OAR’s START! Reentry program is a comprehensive service model that works with those currently incarcerated in the Richmond area and those that have been recently released from incarceration. OAR serves around 4,000 participants each year helping with general case management, and providing assistance with employment skills, computer access, clothing closet, transportation assistance, referrals for health and mental health services and much more. 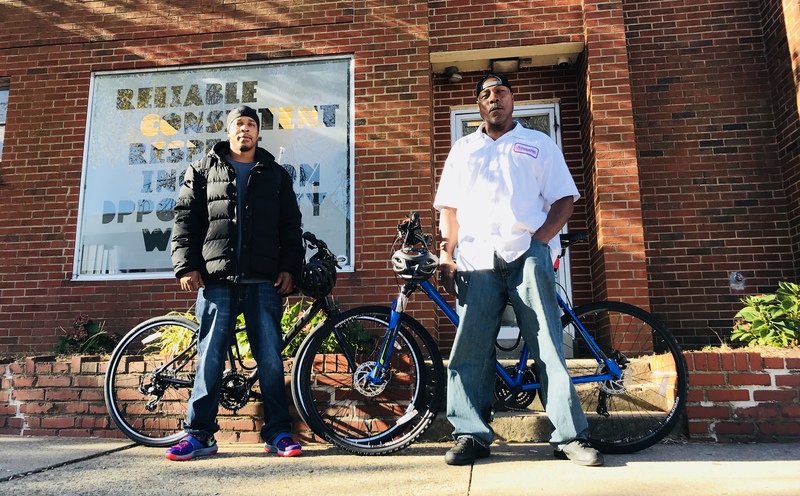 OAR also offers the Ride to Reentry program which provides clients with a new bike upon completion of Cognitive Behavioral Therapy classes, employment skills classes, as well as bike safety and maintenance. OAR was formed in 1971 to serve those incarcerated persons that no one else was visiting. Over time, our services have evolved into the robust program that we offer today. OAR’s services are evidence-based, which means they are based on research of our population. What we do has been shown to work nationwide. OAR plays a key role in reducing recidivism and keeping people in the community successful, which has contributed to Virginia having the lowest recidivism rate in the country. Last year, OAR assisted more than 600 individuals in getting their DMV identification and birth certificate. We also assisted more than 200 individuals with securing employment and providing the resources and tools they needed to get to work. To date, we have provided more than 200 clients with bikes through our Ride to Reentry program. These numbers are all possible due to the support of United Way. How does OAR of Richmond support Virginia’s Statewide Reentry Program? Virginia’s Statewide Reentry Program is titled PAPIS: Pre and Post Incarceration Services. This is a coalition of nine agencies across the state that provide reentry services both pre- and post-release. OAR is one of the 9 agencies in this coalition. I serve as the training coordinator for the coalition as I am a Statewide Trainer for Risk Assessments and Case Planning. I travel throughout Virginia training new staff on these critical areas and best practices with justice involved individuals. We also participate in the Statewide Reentry Resource Fairs with United Way’s Altise Street. Those resource fairs are provided at the various Department of Corrections facilities across the state and provide services and resources to those preparing to come home from prison. At these fairs we provide information about our program, referrals and information on resources in the individuals’ home area. United Way brings so much value to our organization! We have been a United Way partner agency since the early 1970’s and have been so lucky to receive such support from United Way. One value that we see is the research and support coming into our area through United Way’s Steps to Success model. Our agency fits into several of the Steps, including Basic Needs and Financial Well-being. United Way helps OAR to meet the basic needs of our participants and to help them on their journey to financial stability. We appreciate the volunteers that United Way has helped us to get. We know that United Way “has our back” and spreads the word to others in the community about our work. I so appreciate being able to speak to other agencies in the area about OAR’s work and services and how United Way helps OAR to do our work in the community. United Way’s Altise Street works on Virginia’s Statewide Reentry Program and joins OAR of Richmond and other agencies at Statewide Reentry Resource Fairs. Learn more about Altise’s work. Visit OAR of Richmond’s website. Learn more about United Way’s Steps to Success and the Basic Needs and Financial Well-being components of our work.